Looking for private in-home or in-studio Broadway Singing lessons? Our Carmel teachers are ready to get you started. Find your teacher today! Check out some of our most popular teachers near Carmel, CA including San Jose, Los Gatos, Saratoga, Campbell and Santa Cruz. Extensive experience starring in touring theater productions since age 12. I have taught musical theatre for several years in Fort Collins, CO. It is very important to support your voice and create a safe volume at the same time. Breathing! Music is the window to the soul. Encouraging the gifts and talents of children of all ages is my passion. I have taught music for over 25 years, working with beginners all the way to professionals. I enjoy guiding a student to explore and find their passion in expressing themselves through song. I am also known as the alternative vocal coach, teaching all styes of music. Being a recording artist myself, and having performed for large and small audiences, I am able to teach and guide individuals and bands in stage performance. Many of my students move into songwriting as well, and they can do this on a one on one basis or in a group setting. Carol is super helpful and full of great knowledge that will get you to you singing goals, no matter what they are! Lessons on Broadway Singing will draw from Erik's experience as the music director of the National Tour of Cabaret, and faculty member at New York University's famed music theater program. 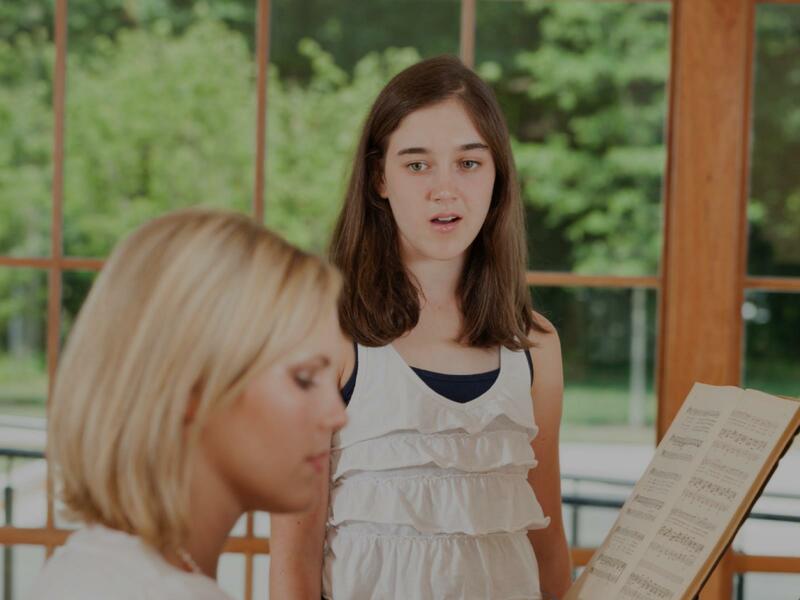 Lessons can focus on a variety of areas including learning new material, preparing for auditions, refining performance, acting, and improving vocal technique. Beginning vocal training is one of this most exciting adventures you can take! My own musical journey has taken me performing from DC to Europe and Asia, to Princeton and NYC, and now back to the DC area! Having completed a Master of Music in Vocal Performance and Voice Teaching at the Westminster Choir College, I would love to take part in your vocal training! Learning how to sing Broadway style is a must have skill for anyone interested in singing musical theatre. This includes everything from classical technique to belt technique. In lessons for Broadway Singing, we can create the perfect program for your needs. Whether your goal is to sing professionally, or to learn how to sing in tune, I am your gal! I have many years of experience as a professional performer and singer/songwriter. I am excited to help you achieve any vocal goal you desire. Whether that is singing in choir, performing as a recording artist, singing at church and heck even just singing in the shower! Send me a message and let’s do this together, I can’t wait to meet you! Can't find a teacher in Carmel, CA?